White iPhone 4 Available On Vodafone UK, Broader Availability Next Week? 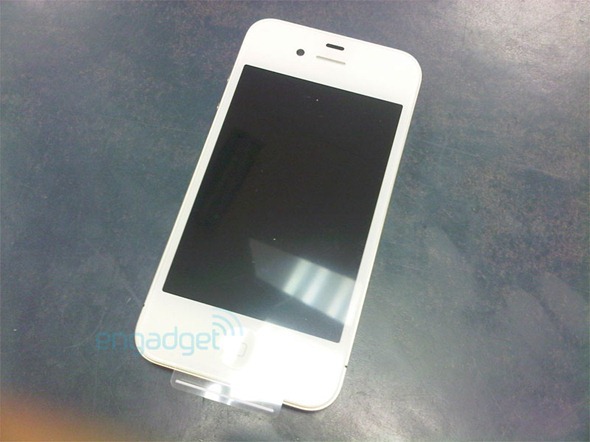 Earlier we reported that white iPhone 4 may be available as early as 26th of this month in Italy. Only a day after that we found 3 UK offering the phone for order over the website which has now been pulled off. 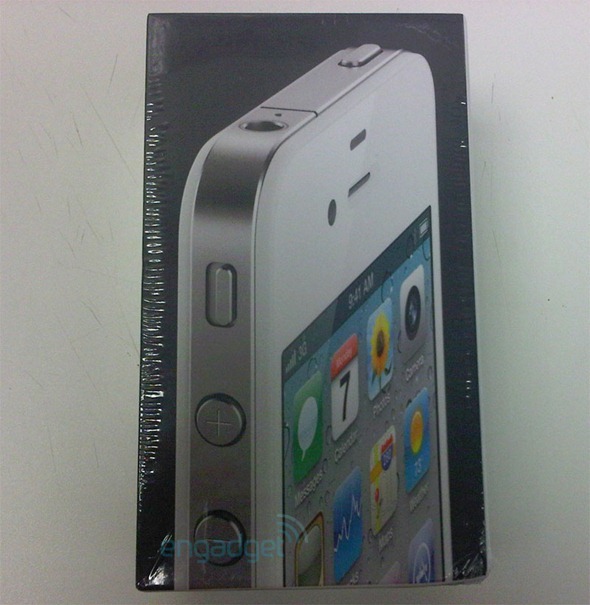 Engadget now has got exclusive pictures of full retail packaging of a white iPhone 4, which a customer has said to have bought from Vodafone in UK. As the story goes, the salesperson rang it up as a black iPhone to help facilitate the transaction, and shortly after the sale went down, Voda sent out a notice to halt sale of these gems "until next week." A Netherlands based site has also reported (via 9to5Mac) the white iPhone 4 to be available as early as 27th of this month. The information was tipped to them by an anonymous tipster who claims to work at BelCompany, a store for phones. The information was later verified by contacting some of the BelCompany insiders who indicate that an internal memo was circulated confirming the availability of white iPhone 4 on 27th of April. This Wednesday, all retail stores will receive the white T-Mobile iPhone 4 16 GB. Also, a limited number of retail stores will receive one single white iPhone 4 32 GB. New supplies will be scarce/very limited. If the supply is exhausted/sold out, inform the customer that new deliveries are expected in 4 to 5 weeks time. The phones have already arrived at the some of the retailers in Europe and are kept in Company safe. The first distribution, expected on 27th of April, will only offer limited phones but the availability will increase in 4-5 weeks. The white iPhone 4, both 16 and 32 GB, are expected to come out with a contract through T-Mobile.